Lacrosse Padded. Our lacrosse socks are designed for mad game performance and comfort. These elite performance socks promote power and energy flow from head to toe with zero-slip arch support, Stretch-to-Fit Sizing, Easy-Fit Crew Style Cuff and Cool Mesh Upper. 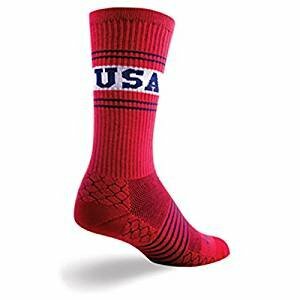 SockGuy�s lacrosse socks allow you to dial in your fit whether you prefer the lightweight and quick feel of our classic unpadded construction or the luxury of our plush padded foot bottom. We make performance lacrosse socks for all levels of play every season you�ll want to wear on and off the field. Our purpose-built socks are guaranteed to be the most comfortable lacrosse socks you�ll ever wear. Elevate your game. Licensed by SockGuy.